Shi Feng frowned as he watched the NPC alchemist approach. Although the Research Room was large, there was no place for Shi Feng to hide. Moreover, there was only one path behind him. He couldn't avoid Berenwoka's detection. With no other choice, Shi Feng retreated from the room temporarily. He planned to hide in the Alchemy Room while he thought of another way to loot the Research Room. However, after leaving the Research Room, Shi Feng discovered a magic barrier sealing off the path towards the Alchemy Room. Unfortunately, the hallway he was in was void of obstructions; one could see everything in it with a single glance. Should I leave the tower for now? Shi Feng glanced towards the path leading outside. However, he quickly shook the thought from his mind. Aside from the G.o.d Crystals, precious alchemy tools, and research materials the Research Room contained, Raymond's Seven Luminaries Source Stone was enough of a reason to keep Shi Feng from leaving. After all, how was he supposed to deal with the Demon King without it? It seems that I have no choice but to fight. Shi Feng's gaze drifted back to the Research Room's door. Following which, Shi Feng summoned Anna and Kite. Although Anna and Kite were not as high-tiered as Berenwoka, their combat power was no weaker than an ordinary Tier 3 NPC's. Shi Feng had only wanted to avoid a fight with the NPC alchemist for fear of attracting Raymond's attention. If Raymond noticed him, only death would await him. However, now that he had retreated quite a distance away from the Research Room, he didn't need to hold back. Huh? I can't summon them? Shi Feng looked at the two unresponsive Summon Guard Scrolls in his hands, his chest tightening. Suddenly, the door to the Research Room opened slowly. The hallway was less than 40 yards long. As soon as the Berenwoka left the Research Room, he noticed Shi Feng. Shi Feng hadn't considered that Berenwoka would call for reinforcements. Not only couldn't he summon his Personal Guards, but now, he also had to deal with more enemies. Shi Feng wouldn't be careless against a Tier 3 NPC. Moreover, now that Berenwoka had called for reinforcements, he would die if he didn't end this before more enemies showed up. He instantly activated Twofold Berserk, his Basic Attributes skyrocketing. With the buff, his Basic Attributes far surpa.s.sed any Tier 3 player of the same level. In the blink of an eye, Shi Feng appeared before Berenwoka. A galaxy of stars appeared around Shi Feng, resplendent and eye-catching. As Shi Feng executed Sword's...o...b..t, he felt the technique reach new heights. Unfortunately for Shi Feng, Berenwoka was extremely adept with his staff, defending and attacking. It was clear that he was executing some kind of advanced combat technique. Players might not be able to predict Sword's...o...b..t's attack trajectories, but the combat technique was nothing to Berenwoka. The NPC deflected every one of Shi Feng's attacks. Shi Feng was surprised. He had never thought that Berenwoka had grasped a combat technique. Even if Berenwoka focused on defense, he couldn't keep up with Shi Feng's lightning-quick attacks. Among the six strikes Shi Feng had sent at the mage, three had found their targets. With his cloth armor and weak Defense, three ma.s.sive damages appeared above Berenwoka's head. Shi Feng quickly circled to Berenwoka's back. Both the Abyssal Blade and Killing Ray bit into the mage, the impact sending the NPC flying over a dozen yards away, increasing the distance between Berenwoka and the Research Room. Realizing that he was in trouble, Berenwoka wisely feld in the opposite direction. However, Shi Feng didn't give the NPC the opportunity to get away as he pointed the Abyssal Blade at the NPC. 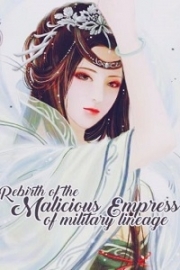 Suddenly, nine pitch-black chains emerged from the ground and bound Berenwoka, holding him still for Shi Feng. However, despite dealing frightening amounts of damage, Shi Feng did not feel the pressure on him decrease in the slightest. When Absolute Time's 30-second duration ran out, Berenwoka would be able to save himself. Shi Feng needed to kill the NPC before he ran out of time. Furthermore, Absolute Time was only fully effective against enemies of the same tier. Against Berenwoka, it wouldn't be as effective. According to Shi Feng's estimates, he'd be lucky if the Skill Silenced Berenwoka for half of the duration. Trying to kill Berenwoka in 15 seconds would test Shi Feng's explosive power. "Despicable intruder, I'm going to offer you to Lord Raymond as a guinea pig!" Berenwoka retreated while blocking Shi Feng's attacks, which had slowed significantly. "Guards! Get over here and save me!" Shi Feng had only dealt so much damage and overcome Berenwoka's defensive technique due to Instant Strike increasing his Attack Speed by 500% and damage by 400%. Now that the Taboo Skill was on Cooldown, Berenwoka had a much easier time defending himself. Even against Shi Feng and his doppelganger, Berenwoka easily blocked half of the attacks. When Berenwoka's HP fell to 43% and the NPC was about to leave the hallway, Shi Feng used everything he had left. Both Shi Feng and his doppelganger used Flame Burst simultaneously and dealt a total of 30 devastating attacks. Every attack devoured over 100,000 of Berenwoka's HP. Eventually, the NPC alchemist's HP fell to zero. Berenwoka glared at Shi Feng with reluctance as he collapsed to the ground. 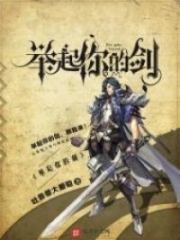 You're Read Reincarnation Of The Strongest Sword God Chapter 1305 Perfecting Sword's Orbi online at NovelOnlineFull.com. You can use the follow function to bookmark your favorite novel ( Only for registered users ). If you find any errors ( can't read,broken links, can't load photos, etc.. ), Please let us know so we can fix it as soon as possible. And when you start a conversation or debate about a certain topic with other people, please do not offend them just because you don't like their opinions. 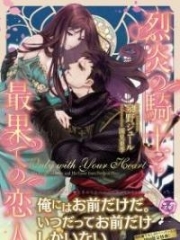 You're reading Reincarnation Of The Strongest Sword God. 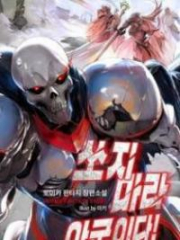 This manga has been translated by Updating. Author(s): Lucky Cat. Already has 1552 views. Current Time is 18-Apr-2019 12:55:07 PM.